Welcome to June! It’s World Environment Day – just another day really but in light of the crazy stuff that is happening with the US pulling out of the Paris Agreement, this day carries some serious weight this year! No matter the geopolitical scene, we at Vertiver continue to be driven by our deep love for the planet. So we scratch our heads way too often wondering how it is that our lovely planet with all its beautiful animals, forests, and people has gone as topsy-turvy as it has. 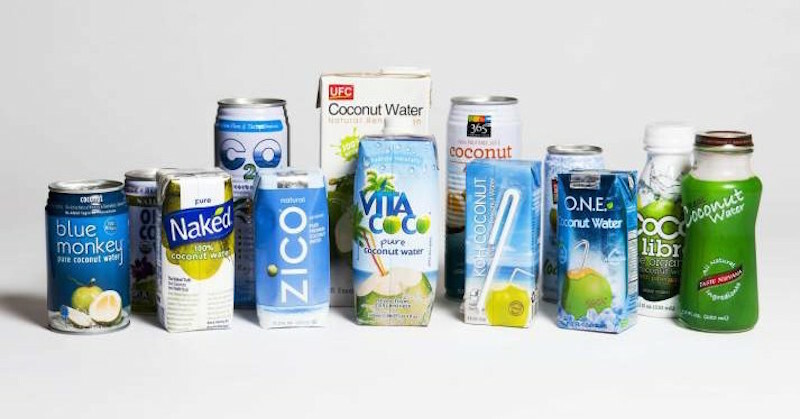 We cut coconut, package its water in plastic bottles then drive to the department store on fuel that is extracted from the planet’s belly emitting polluting particles that we then breathe which then make us fall sick, to go pick up the bottle of plastic that has toxins in it and drink it to quench our thirst. So yes. It’s a bit topsy turvy. Summer is at its peak and there’s no better time to go Get a Chik! 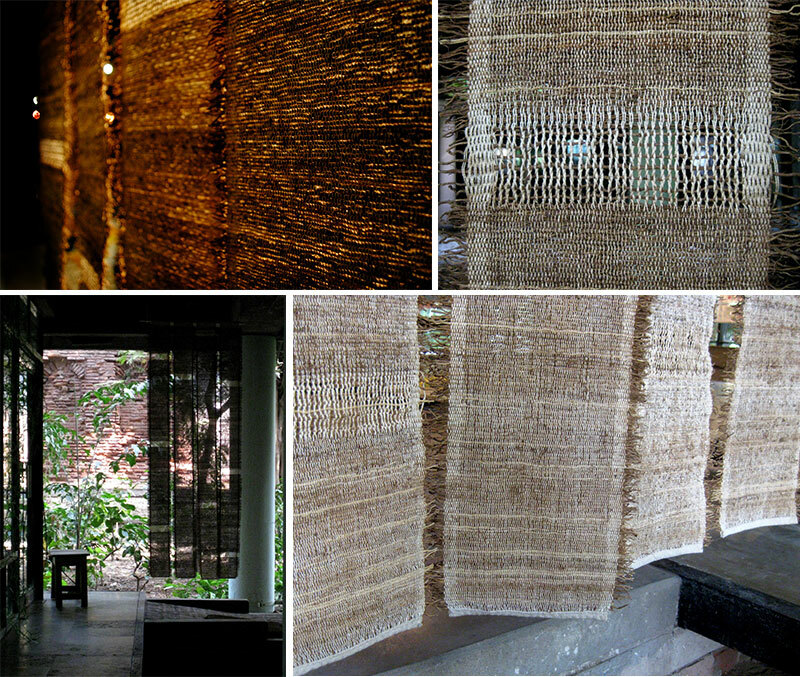 Natural blinds made out of bamboo, khus and jute. 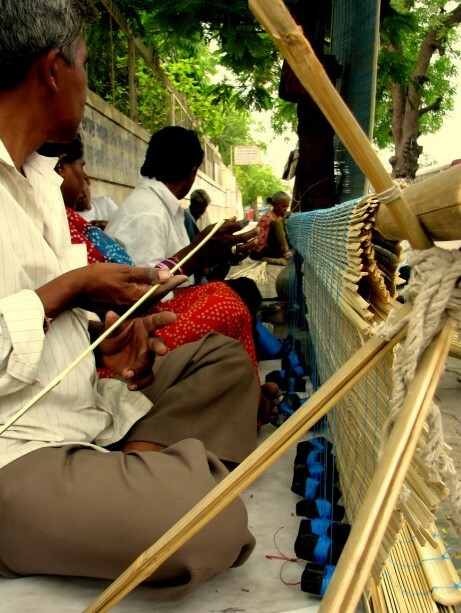 Uttam Raja sells hand woven Bamboo Chiks on Lado Sarai road. You can choose from the different patterns he already has or ask him to make a custom-made chik just for you. His contact details are hand painted on this upcycled flex. Ya, you tell yourselves, you’ve seen those guys- sitting by the sidewalks- so what’s the biggy? Well for one, you can go and thank them. They are doing all of us a HUGE favor. 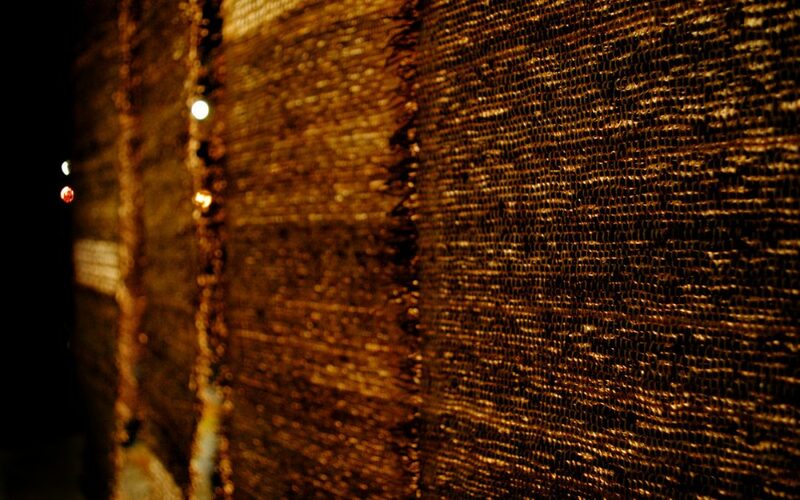 They hand craft bespoke shades out of material that has almost zero environmental footprint. Those fancy curtains of silk, cotton or polyester you may have in your homes right now- none of them, no matter how “organic” a fabric they are, have a higher envioronmental footprint than Chiks. Chiks let in just enough light during the day and can be rolled up in the evening occupying no space at all. AND they make you feel connected so close to the earth. Like you could up and walk into a wild on the other side. Whole families make Chiks together and since they are made and sold in the same place, they have almost no emissions in transportation or production. 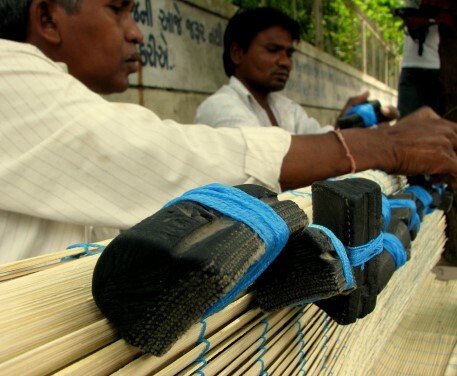 The weaving structure is built with bamboo and small pieces of tires are used as weights. And Bamboo is SO GOOD FOR THE PLANET!! Chiks can also be made from Khus (we love it so much we’ve even named ourselves after it! ), a grass endemic to India which acts as a natural coolant when sprinkled with water in summer. So if you’re ever looking for curtains, you need to go get a Chik! Not from those branded, plastic sleeved, shelved products at the department store but from the Chikvallahs in your own neighborhood. With this simple step, you are not only being much gentler to the planet, you’re also helping a real craftsperson maintain their precious skills. If we lose our craftspeople, we will lose our natural ecosystems. That’s our two “green” cents from Vertiver.